The trees are getting naked around here. The trees: companions in my neighborhood, definers of the landscape, manifestations of God’s goodness, creativity, and strength. Towering oaks, maples, aspens, birch, all tucked between the pines. 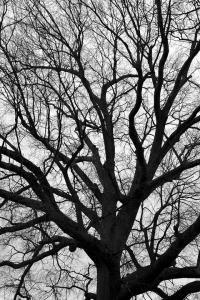 These wide-reaching wonders now expose their bark, limbs and brownish cores. Orange-tan leaves that once defined them, now cover the ground and create a crunch underfoot. And, a great modeling of love. Take to heart these words which I enjoin on you today. I spent part of last night cleaning and peeling a recently harvested pile of wormy rutabagas with another sister. We probably ended up having to compost at least half of what had been pulled up from the soil, because some sort of creatures had created little homes in the vegetables. The waste was certainly disappointing and unfortunate but mostly it all felt very natural — like a healthy part of giving seeds to the earth, tending the soil and then pulling forth food many months later. Afterwards I noticed that my hands smelled earthy, much like the crispy leaves and the chilly autumn dampness that has arrived in the air. With such sights and smells in my consciousness, I began to think about all the death and decay surrounding us in the midst of this autumn season. And, the natural ebb and flow of life, of struggle. It is inevitable, isn’t it? Being human means we have downs, we suffer, we feel anguish. We deal with the weight of despair. No matter how much we try to avoid the cross, reality teaches us that the muck of change is inevitable. Under the weight, our moods and attitudes can falter; we can get stuck in lament. How, then, are we to remain available to lovingly, joyfully serve others? How can we continue to act with kindness when wallowing in despair seems like all we are capable of? A few months ago, I read this blog post by Sarah Bessey about finding time, energy and inspiration to write. Since then I have been thinking about tip #5 on the list: “Fill the Well.” As she wrote it: What brings you alive? What clears your mind? What fills your soul? Do those things instead of the other things. Take time to figure it out – your list will be different than mine. Write down a few things that you can turn towards to fill the well. You can’t write from an empty well and so whenever you can, fill your well. Here’s what I am learning: we must not only fill our wells to serve and witness, we must tend to our wells. Each of us has a God-given, wide-open space; the vessel that contains the life-giving water, the container that holds the elements for our strength. We must know this part of ourselves and know what is really needed so that our wells maintain their shape and abilities. How is your well constructed? Is it chipping and weak in a certain space? How deep is it? What elements of Spirit flow through this space inside of you? How does your well nourish you and provide hope? What sort of songs must you sing to tend to this sacred space in you? Which Scripture passages will fill you with the strength you need to persevere, to continue serving? No matter how death and decay may threaten to endanger us, let us remember that God is with us, eager to tend to our wells and fill us with great grace and strength. After all, God has conquered death and is ready every minute to make all things new! Amen. an ever-present help in distress. and mountains totter at its surging. An old building in disrepair, collapsing toward the ground. 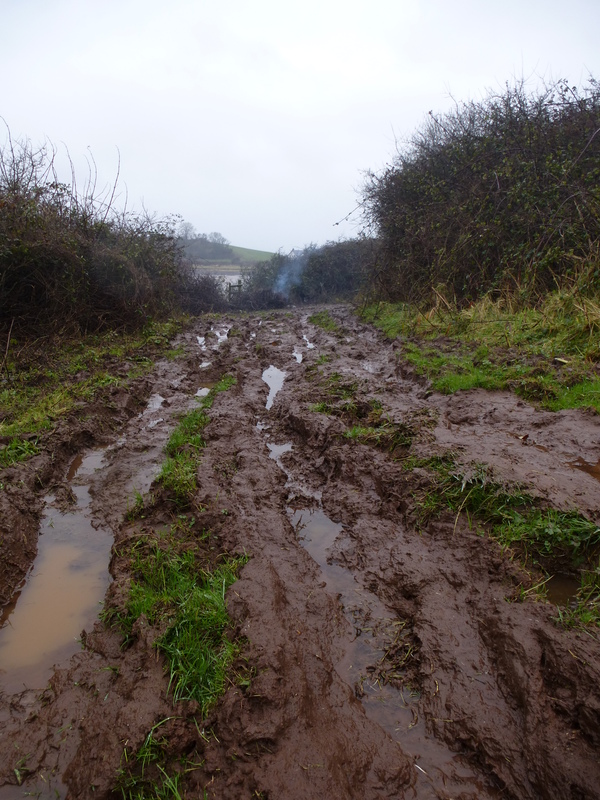 A rusting, defective car, stuck in layers of mud. The sight of the simplest crack in a sidewalk can still my body, stun my soul. The colors and textures of a simple, broken branch can inspire poetry. It may be a bit bizarre, but brokenness really can become a gallery art piece to me. I am in awe of the beauty of brokenness because I relate to the ordinary being an un-mended mess—a mix of decay and transformation. The objects all around me feel familiar because I have been broken and mended, again and again. I love this poem about brokenness. my throat and my insides. and my years by sighing. my bones are wearing down. all who hope in the LORD. I am like a worn-out tool. terrors are all around me. save me in your mercy. Oftentimes, it seems that brokenness is what helps me to become most in touch with my humanity; I know that this part of my nature doesn’t make me unique. In service and contemplation, I have touched physical and mental wounds in myself and others. I have heard people pour forth the worse of spiritual sorrow, anguish and misery. At times, my own doubts and struggles have been so intense that I felt incapable of doing anything but collapsing, quitting. Don’t we all feel dysfunctional, inoperable and crumbled in certain circumstances, in one way or another? It seems to me that the season of Lent has much to do with this brokenness. As Holy Week nears and we enter into the most sacred days of the Church year, let us check in. What has happened in our hearts and in our lives as a result of our fasting, praying and penance in the desert? How have these desert days helped us to recognize where we are in need of mending, healing and reconciliation in our lives? How have our eyes been opened to the truth of our interdependence, of how we are made for community, for Christ, for others? How have we been transformed and changed? And what scars can we now bear more courageously? A few weeks ago, I presented a program at the spirituality center where I minister about this passion of mine, the beauty of brokenness. After shared contemplation, we attempted to convey our reflections through the Japanese craft of kintsugi, which repairs objects with gold in order to highlight and honor the history of the object: the beauty of the cracks. Here is where I learned about how to experience kintsugi, without becoming an apprentice in Japan. During the workshop, we considered how we all might be like broken cups within God’s hands as we tried to piece them together—a complex, layered puzzle. Another poem, “The Perfect Cup” by Joyce Rupp, helped foster this reflection. Honestly, I found it challenging to try kintsugi. My fingers became sticky, gold-spattered messes. I even cut my fingers a little on the broken cup I tried to repair. In the end, though, I really liked what I held in my hands. In fact, I have decided that what I created is a perfect vessel for light, a beautiful place to burn candles within. Leonard Cohen’s song “Anthem” includes the lyrics “There is a crack in everything. That’s how the light gets in.” My experience trying kintsugi and reflecting on my likeness to a broken cup in God’s hands caused a spin on Cohen’s wisdom to emerge. I believe we all are broken so that God’s light can shine out through our cracks. By God’s grace, let us be strengthened and transformed so we can see the beauty of our brokenness. With the arrival of Holy Week around the corner, may we be ready for God’s light to beam brightly from us all. May the resurrection energy shine through our cracks, so we can help illumine dimness near and far. Amen! “No matter where you go…there you are,” stated the character Buckaroo Banzai in the 1984 cult film The Adventures of Buckaroo Banzai Across the 8th Dimension. This troubling truism has become a bit of a mantra for me as I stumble through life. I frequently have too much going on. In the flurry of activity, a nagging voice hums in the background, I can do this better, I could be more efficient, I should do this, I ought to do that. One of my greatest sins is to put more faith in my ideas than I do in God. Recently, I did this when I believed if I changed a few parts of my life—the setting, my workload, my stress level—then…. In light of all that is making humanity hurt far and near—the evils of greed, economic inequalities, environmental destruction, endless war and gun-violence—on this ordinary and holy day, I find that my heart desires to emulate two particular aspects of St. Francis’ prophetic life from 800 years ago. I am praying for all of us, for our broken and hurting hearts, that we can respond to the invitation Christ made to Francis to “rebuild my Church.” May we all contribute to the reconstruction of God’s reign of peace, justice and mercy. May we all be renewed and converted more closely to Christ, to the people Christ is calling us to be in today’s world. that we can counteract greed, materialism, pride and arrogance by totally embracing poverty, just as St. Francis did. The worst consequence of us taking more than we need is the infliction of suffering upon others; stripping them of food and shelter and other basics. Plus, our consumption and waste harm sacred Earth, causing climate change and consequential disasters; more suffering inflicted upon the little ones. 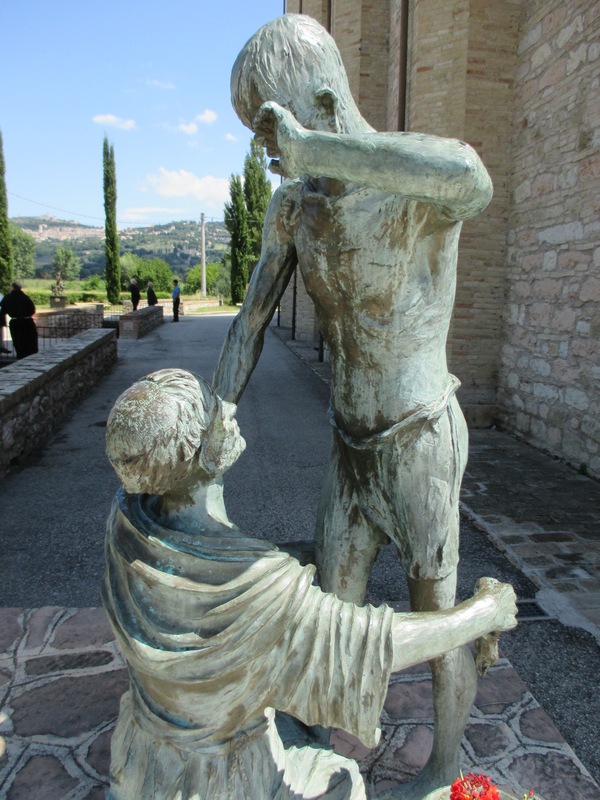 St. Francis’ experience also showed him that greed and materialism create division, cause wounds. A member of the emerging merchant class in the middle ages, his life could have been comfortable and privileged if only he’d joined the family business and become a cloth merchant. Instead, his conversion directed him to become a beggar, living with and ministering to the lepers, the outcasts, the little ones. St. Francis, like Christ, stripped himself of his wealth and made himself poor, gaining freedom in his dependence upon God. His complete embrace of “Lady Poverty,” as he came to so fondly call it, opened him to encountering Christ in the poorness found in others and in himself. St. Francis was also familiar with the evil of war and grew into a practitioner of nonviolence. Before his conversion, he served as a knight in the battle between the warring city-states of Assisi and Perugia. Captured from the battlefield he spent a year in prison, dealing with illness and suffering. During his development into an itinerant preacher, he greeted everyone with the Gospel messages of peace, forgiveness and love of enemies in Italian: Pace è bene, Peace and all good. In response to his countercultural message he was mocked and ridiculed. Yet he persevered with love and risk, even heading into the war zone of the Crusades, begging for the wars to end. One of my favorite stories about St. Francis is his encounter with Sultan Malek al-Kamil, a Muslim leader whom he befriended and dialogued with about peacemaking and faith. I invite you to pray with me too, so we can all respond to the needs of today with great humility and mercy, with bold love that is provocative and countercultural, transformative and compelling. Let us be poor peacemakers for our world today, in the spirit of Francis, in the image of Christ. Ever since the birth of this blog nearly six years ago each discovery of Christian content elsewhere—stuff that also emulates the tone Messy Jesus Business aims to assert—has been a little thrill for me. And by “tone Messy Jesus Business aims to assert” I mean that in this forum we (myself and the Rabble Rousers) try to ruminate on the hard, uncomfortable aspects of Gospel living. It is messy, challenging and intense to struggle for social justice and the protection of the most vulnerable. It is confusing and complex to live a Spirit-filled life working toward systemic change, to fill our lives with works of mercy and simple living. There is no tidy and straight-forward way to contribute to the coming of God’s reign in this broken world. In fact, we experience union with God in the chaos and suffering, among the poor and the despised and the least and the little ones. 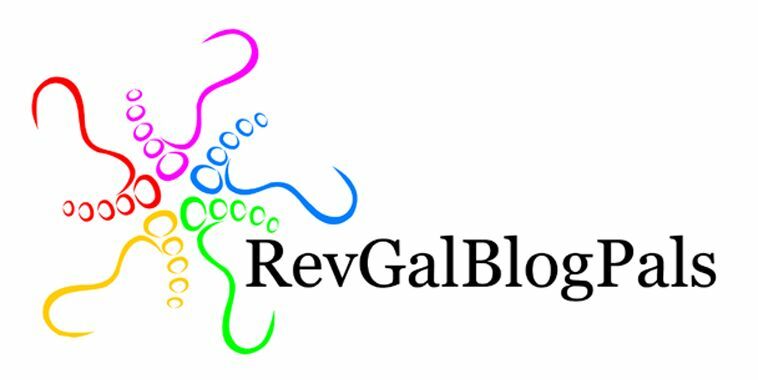 The Gospel Coalition’s “I Come Messy and Ashamed” by Christina Fox. 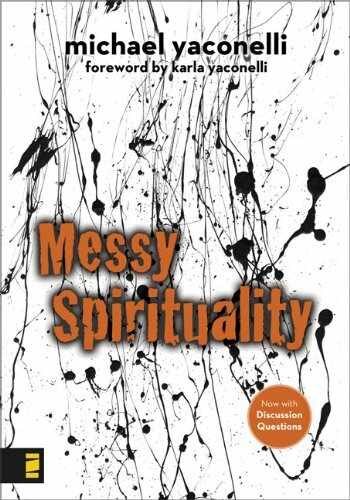 Gospel Centered Discipleship’s “Messy Discipleship” by Jake Chambers. Monadnoc Bible Conference’s “The Gritty Gospel” by Roy Baldwin. Apparently in the UK, entire churches aim to be together in a way that honors the mess of Christian living. 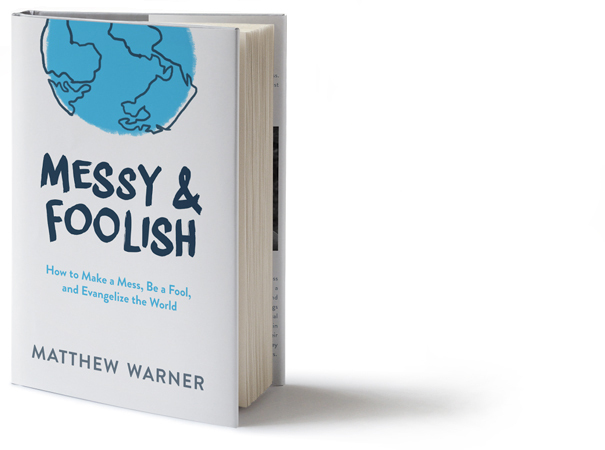 This approach is called “Messy Church” and is a program of the Bible Reading Fellowship. Mercy is the point where God’s love meets the needs of the world. 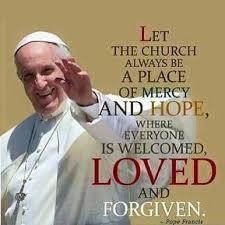 When Pope Francis opened this Year of Mercy he stated, In this Jubilee Year, let us allow God to surprise us. He never tires of casting open the doors of his heart and of repeating that he loves us and wants to share his love with us. Let God surprise us with deep and extravagant mercy! My tendency is to have abundant mercy for others, but struggle to truly be gentle and kind to myself. However, over ten years of intrusive thoughts of self-harm have taught me some serious spiritual lessons. When I either avoid my thoughts or ruminate on them like a favorite pet, things only get worse. Instead, I choose to “ride the wave.” When difficult thoughts and emotions threaten to overwhelm me I watch them come and, eventually, go. I observe without judgment. I name them. “Hmmmm. Looks like I’m having a self-harming thought. Yep. There it is. 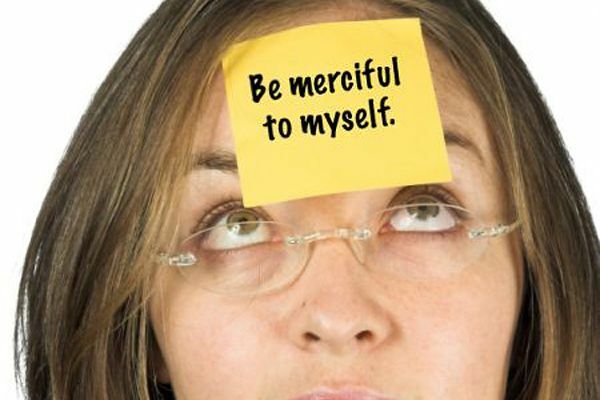 What do I need to do right now to be merciful to myself and remember I am beloved?” Either repressing or obsessing just gives power to the thoughts. By staying in the middle way the thoughts dissolve on their own. I can’t. God can. Let God. People are kind, even when they say stupid things (which they often do without trying to). Jesus doesn’t always take the pain away, but He always holds me in my suffering. Sometimes I can believe I’m a precious child of God lovingly created for all eternity, other times I cannot. But God never abandons me. Through every pain and ugly thought and wish to die my sweet Christ surrounds me in love. Whether I feel it or not. Recently in my prayer I heard Christ say, “I am sorry you are suffering. You have everything you need. I love you. Let my love be sufficient.” When I finished praying the thoughts of self-harm were still there, but I knew I was not alone. Decrease my stress (which often involves hard choices and saying no to worthy commitments). Choose to use the elements in my toolbox: prayer, exercise, support and healthy mental (sk)illness (which I wrote about in “Spiritual rights for the mentally (sk)illed”). I can do all of this right and the suffering may not go away. On the spiritual journey, it’s not about getting it right. We are each doing the best we can. I open my hands. I breathe deeply, declare my dependence on God and am simply willing to be willing to try again. And in that moment I find a God of love, grace and power who never leaves me alone, even in my darkest nights. So, this week some depression symptoms have come back. Fatigue, heaviness, a dull pull at the sides of my mouth, a silent scream in my throat, anxiousness, and a few intrusive thoughts of self-harm. But, I’m a veteran. I know what to do. Pull out my toolbox of skills. For me it includes mindfulness, grounding, centering, exercise, contemplation, affirmations, walking with mantras, pushing on walls, calling friends, journaling, healthy eating, support groups, therapy, spiritual direction, and being honest with myself and all my support people. A few days ago when it was going a bit rough, Jesus and I sat down and had a talk about it. I’m struggling to break out of old coping mechanisms and make a new choice. It feels healthy and I know it’s the right thing to do but dude—it is still physically and emotionally hard! Jesus said to me, “I got you. I know you can do this. You have the external support and the internal resilience to make this change at this time. And if you don’t, it’s okay. I’ve got you. You didn’t do it wrong before, and you don’t have to do it that way again.” With those words, I felt both freedom from the pain of my past and joy in choices of the future. For me, my struggles with mental health have always had a spiritual component, and often that aspect’s ignored by the community around me. Some friends and I wrote up a list of what we consider to be the “Spiritual Rights of Mad Folks.” The term “mad folks” is a way to talk back the labels put on us as stigmas behind our backs and claim our own identity in the world, similar to when the word “Black” became more common for African-Americans. I also prefer the terms “mental (sk)illness” or “neurological diversity.” It’s a way of claiming the gifts of the reality that we live with; not pathologizing our identity. the right to have a “dark night of the soul” without one’s experience being attributed to a brain disease or a disordered personality. the right to speak of one’s experiences without fear of harm or recrimination by authorities. the right to not have our spirituality viewed as a product of our diagnosis or as otherwise pathological. the right to appropriate support during times of spiritual emergency. the right to claim our mad gifts within a spiritual community or context. the right to be reverenced as a person of dignity. the right to companionship and affirmation on the spiritual path. What if these rights were all just universally embraced in every place of worship and spiritual community? What a wild and beautiful world that would be! I dream a place where it’s okay to think you are the Messiah. Where walking in the void of darkness and the fear of demons are believed. Where the daily perseverance to get through a day is not disregarded, but honored and celebrated. Five signs that may indicate a call for compassion, empathy, understanding and support. Our “mental health” system may be broken beyond repair. Far too many go without the basic care they need. When I moved to La Crosse, I had to wait seven months for an appointment with a provider to manage my medications. Globally, the situation is even worse. Our old ways of coping and hiding people away just don’t work. FSPA actively and intrinsically supports its pledge to Change Direction. And, my FSPA congregation is actively participating in the nation-wide Campaign to Change Direction to raise awareness of the five signs of suffering and to deter future suicides. We never walk alone. For me, my mental (sk)illness requires the constant companionship of Jesus, my faith community, recovery community, and all my loved ones. We dream a new world. We dream hope and live bravely into a new tomorrow, each and every day. This statement is from a farmer and my sister, Ellen Walsh-Rosmann. It helps me remember that something as basic as eating food and sharing it with community influences how I contribute to the reign of God. 179,551 readers since November 29, 2010. Praise God, thank you!